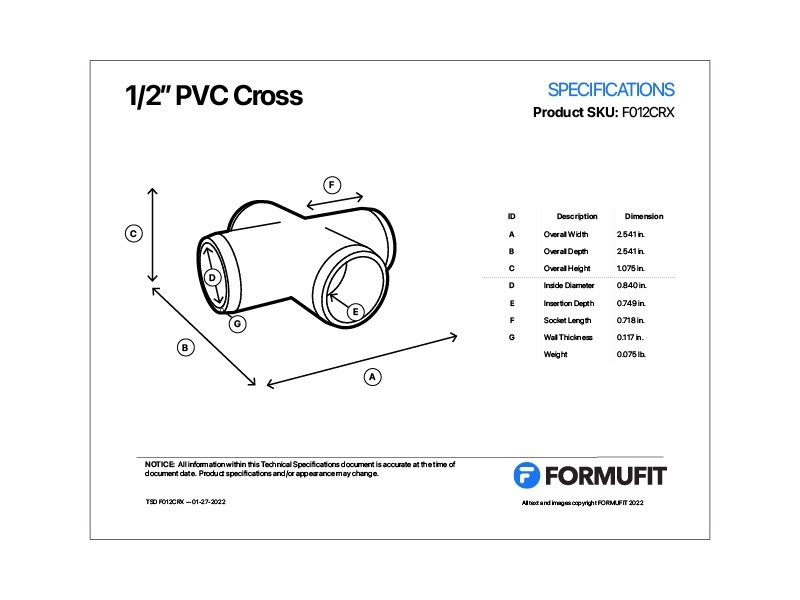 FORMUFIT structural 1/2" Furniture Grade PVC Cross fitting joins 1/2 in. 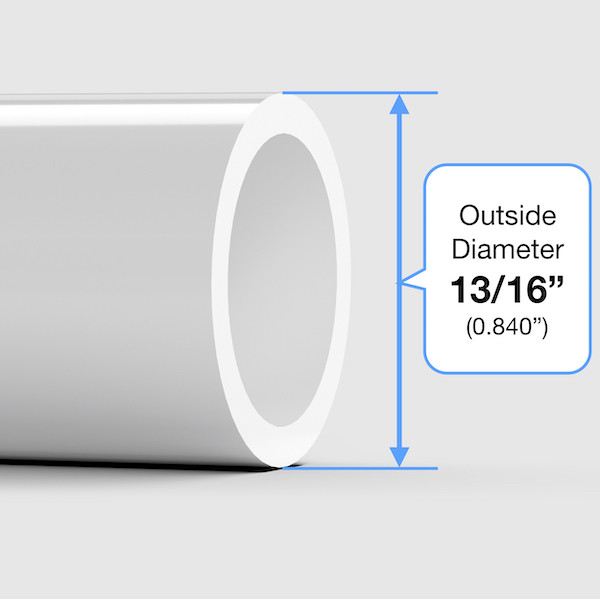 Size PVC pipe at four points for crossmember support in PVC applications for cube or rectangular shapes. There are four sockets in a cross configuration, all along the same plane. 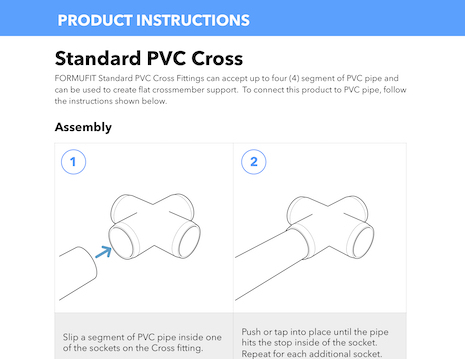 Works well for crossmember support within a project or for in PVC structures and applications where four PVC pipes should meet at a single point. All sockets are at 90 degrees. Four connection points on the same plane.